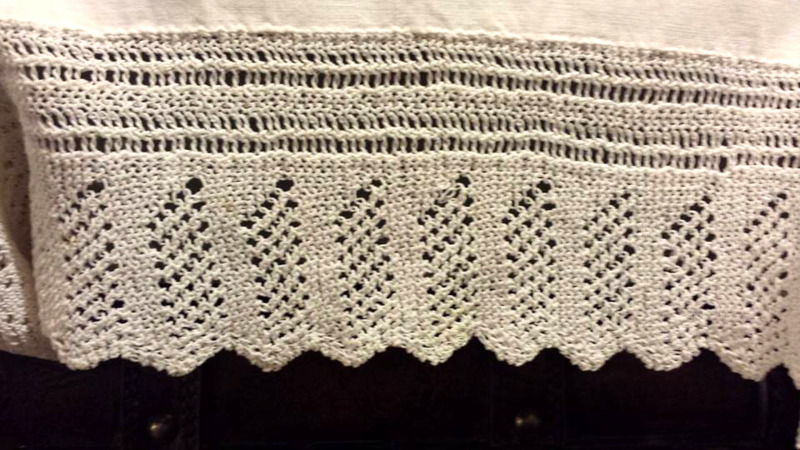 I was recently talking to a second cousin of mine who told me the story of how she found a piece of Grandma Olson‘s lost lace. Marian Olson Boag is a descendant of my grandma, Celinda Olson, a lacemaker. Marian is the granddaughter of Kent Olson, one of Celinda’s sons. “I was climbing through the rafters of Kent’s old barn where we milked the cows. I was cleaning out the loft, and found a metal box that had lost its lid. I decided to rifle through the box to make sure there wasn’t anything important in there before I threw it away. The box was full of garbage, magazines, newspapers, burlap sacks, twine, straw and it had, nestled in everything else, a mouse nest. There were mouse droppings all over everything in there. “I knew what it was as soon as I saw it. An incredible feeling came over me. It was pretty special. I imagine that Grandma was very happy the lace had been found. The sack had a few holes in it from the mice chewing through it, so it really was a miracle that the lace wasn’t ruined. I figure it was at least 50 years old at the time, and I’ve now had it twenty years more. I cleaned it, and stowed it away for safe keeping. I told my mother about it years later. She told me to keep it, which is good… because I would have had a hard time giving it back! What a treasure. Uncle Kent’s barn is not far from the log house my grandmother lived in as she knit her lace by lamplight. A beautiful piece of her love, for her granddaughter, made it home. 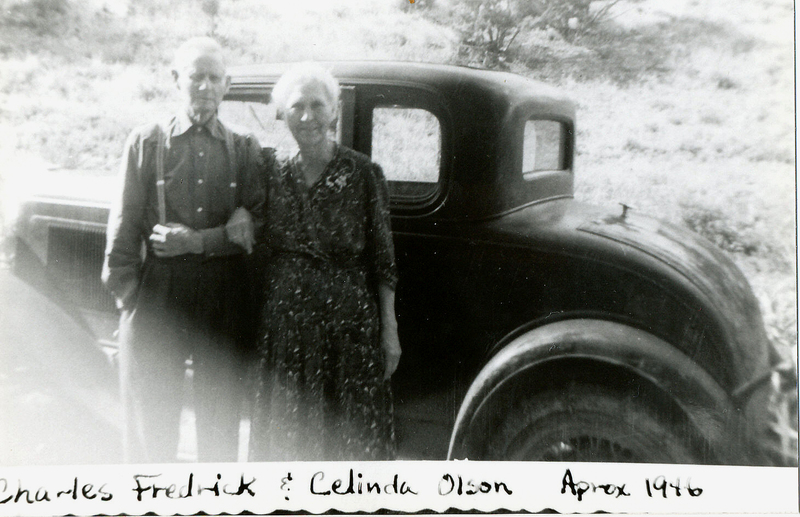 These are my great great grandparents, Charles Fredrick and Celinda Jane Twitchell Olson. Celinda is my grandmother who made lace and helped inspire me to do so also. She lived until she was 103. Her life overlapped mine by one glorious year. My daughter, Anna Celinda, is named for her. 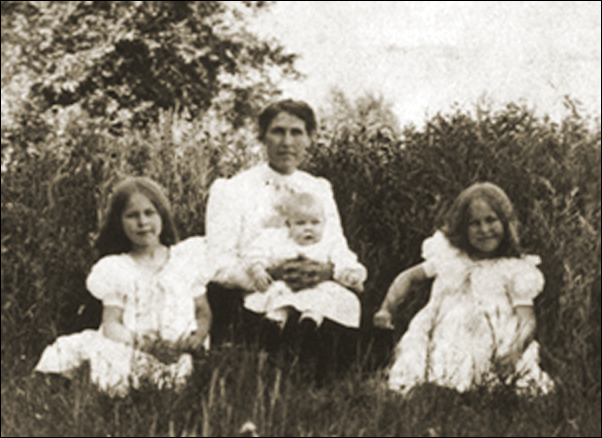 Celinda and Charles were faithful members of the Church of Jesus Christ of Latter-day Saints, and left their posterity a great heritage of lace, and faith.